The European Federalist Party strongly condemns the banning of Twitter by Turkish courts this week. 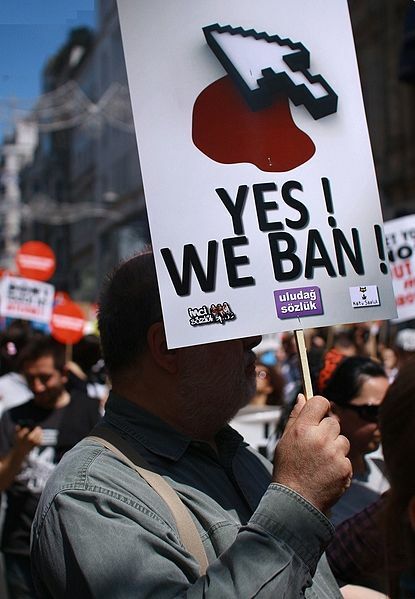 The ban represents not only a form of modern censorship and curtailment of the freedom of speech of Turkish citizens, but also the evidence of a fradulent political system, which fails to uphold accountability and transparency of governing bodies under the façade of democracy. It is at direct conflict with fundamental pillars of European democracy, values and human rights. Unfortunately, the recent ban of Twitter follows the trail of the 2008-2010 ban on YouTube for equally politically motivated reasons. Moreover, Turkish prime minister Recep Tayyip Erdogan has credibly threatened to “wipe out” other social media sites such as Facebook, and again YouTube. As we have witness from the civil uprisings in much of the Middle East, Turkey and Ukraine in recent years, social media web-based platforms have become essential instruments to galvanize public consciouness, increase institutional accountability and instigate much needed social and political reforms. Thanks to these tools, democracy is ever more truly a process for the people, by the people; without them, it would be stifled. Furthermore, it is clear that given pivotal local elections scheduled for the end of the month in Turkey, and the widespread government corruption scandal that is marring the current government and justice system in the country, the Twitter ban was entirely politically motivated – attempting to blind voters to any new detrimental information which could mitigate the probability of electoral victory for the AKP. This preemptive strategy further corroborates that indeed the current administration is aware of wrongdoing within its ranks, which it is attempting to baffle. However, we know that the vast majority of the Turkish people themselves are strongly against such measures, and we applaud Turkish President Abdullah Gul’s public protest on Twitter against the ruling. In addition to continuing civil demonstrations against the perpetuation of government corruption and censorship, we believe that the upcoming local elections will be the first concrete step in ridding the Turkish state of anyone who does not serve its people with transparency, accountability and respect of human rights. The European Federalist Party stands side by side with those Turkish citizens who are constantly fighting to ensure that Turkey remains an open and fully democratic country. Freedom of speech is not only complementary to an effective democratic system – it is a necessary condition for it. The European Federalist Party (EFP) is the pan-European party for a more democratic, united and solidary Europe: a Europe of the people and for the people. The EFP was founded in 2011 in Paris by citizens from all over Europe and has since developed into a cross-border movement with thousands of members, supporters and chapters in 18 EU states. The EFP was instrumental in the introduction of several key laws and reforms in the EU, including improvements to the Lisbon treaty, the European Citizens’ Initiative and the EU roaming regulation.